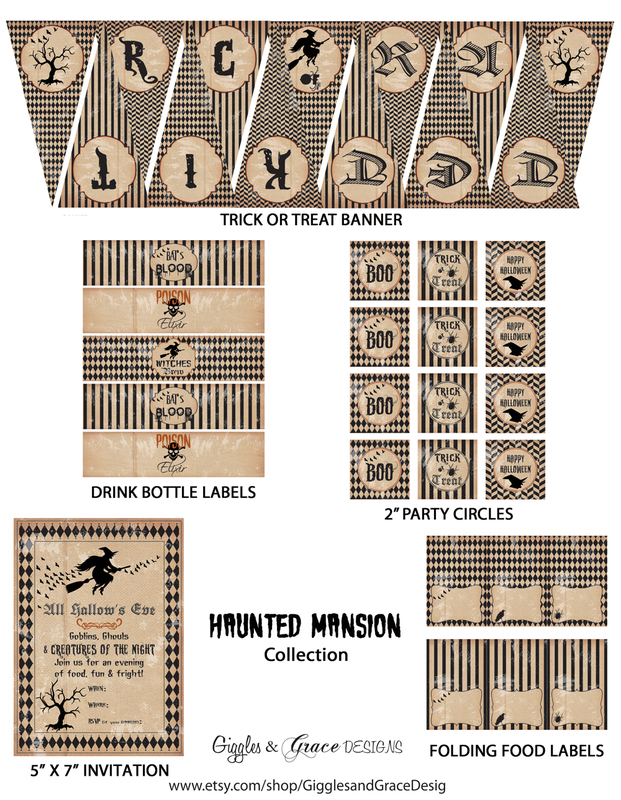 Yep, it's almost time for Halloween, and just seeing these Haunted House printables Belinda from Giggles & Grace Designs created gets me excited for October. 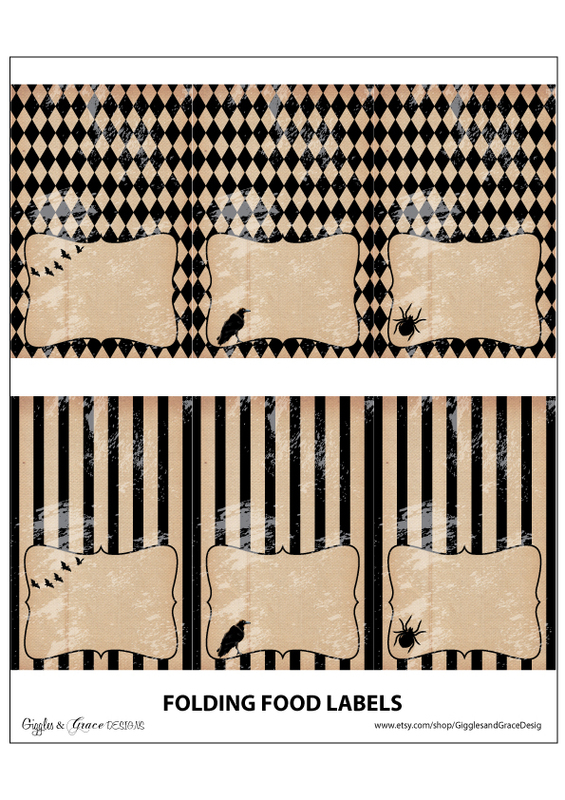 I love how spooky and gothic these printables feel! This set includes: invitations, party circles, drink bottle labels, folding food labels and a "Trick or Treat" banner. 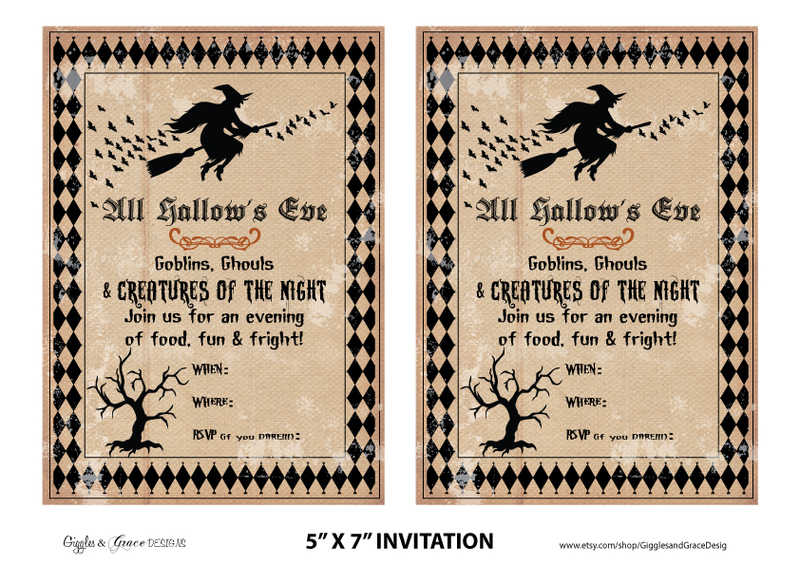 Download the free Halloween printables here! Thanks, Belinda for such a cool vintage collection! To learn more about Belinda and Giggles & Grace Designs please visit her Etsy shop and Facebook page. Also, to get you thinking about Halloween, check out these fantastic Halloween parties on our site. 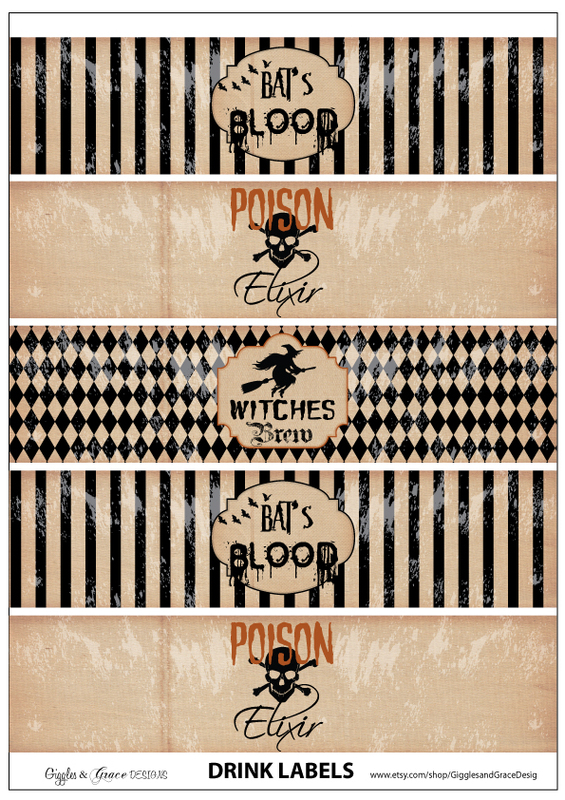 These are so awesome. Thanks so much. 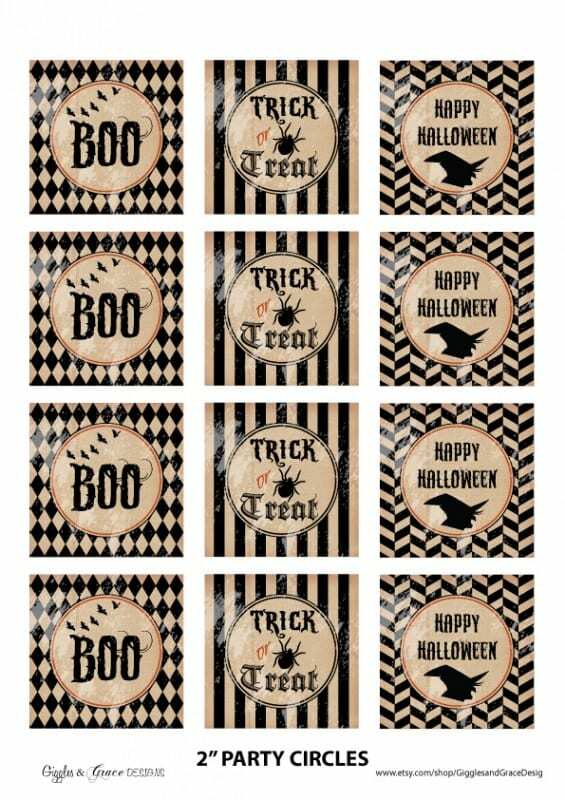 Two more weeks and it will be a busy October. Hope that there will be no cramming for a Halloween party. This will surely fix thoughts about something on the table. Now, how about the place?